So you’re driving to Firefly Music Festival. Or better yet, you’ve conned one of your friends into driving – lucky you! You’ll need a place to park the car. And yes, you’ll need a parking pass for that. If you’re camping, be sure to check how many cars you’re allowed to park at your campsite based on the camping option you’ve selected. With each camping option – excluding Super Group Camping – you’ll get space for at least one vehicle. So you may be able to park your car at the campsite right beside your tent. Practically speaking, this can be a lifesaver if it rains, because the car is a great place to store stuff that you definitely don’t want getting wet. It’s also great for locking things up. If you’ve got extra cars or if you’re meeting your friends at the festival and need to leave your car parked somewhere for the weekend, then purchase an Overnight Parking Pass. The rules are crystal clear that “outside of a camping spot” these passes are the ONLY way to park overnight at the festival. Overnight Parking Passes cost $40 for a spot from Wednesday to Monday, which is a much better deal than paying per day to park somewhere else for five nights. The overnight lot will be located off-site but “in close proximity” to the camping areas. There will be free shuttles to the South Hub and North Camping to get to the campsites to meet your friends. These shuttles will run 24 hours a day. Firefly says the overnight lot is only for people who plan on camping at the festival. Overnight Parking Passes also give you in-and-out access, but you’ll need a Firefly wristband to get back into the parking lot and they’re allowed to search your car on the way in. If you need an Overnight Parking Pass, don’t wait. Buy them here. You’ll need to purchase one before the festival. And it looks like they sold out last year. For those of you opting to stay in a hotel room or just planning to spend a day or two at the festival without camping, then you can drive to the festival and park for the day. You’ll roll in, park in “day parking,” watch the shows and hang out in The Woodlands, and leave afterward. It’s $10 per day to park next to Dover International Speedway, and you have to be out by 4 AM (or they can tow your car). But beware, according to some, it can take over an hour to get out of the parking lot at night. If your hotel is within walking distance, however, many previous festivalgoers would suggest you walk it rather than try to deal with parking. There may also be homeowners advertising festival parking along the highway on your way into the festival if you’d prefer to park off-site. If you’re from a major city on the east coast in the general proximity of Firefly, there’s a good chance you could hop on one of their shuttles and avoid parking altogether! 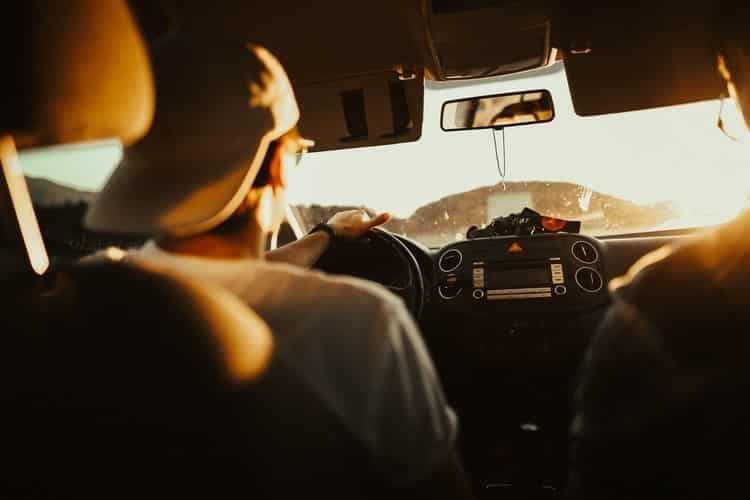 Firefly’s Shuttle option is a great way to leave your car at home, save on the cost and hassle of parking and gas, and make new friends along the way. They’ve partnered with Bus.com to create the perfect festival transportation option, with storage room for all your camping gear, convenient departure times, and air conditioning. You can take a Firefly Shuttle if you’re leaving from any of these cities for the festival: Baltimore, New York City, Newark, Philadelphia, Washington, DC, Wilmington, DE. They also have one-way options if you’re hitching a ride with friends in either direction. Check out the Firefly Shuttle Options. For other frequently asked parking questions, check out Firefly’s answers here. Or check out the fan forums to see what other festivalgoers are saying. If you still need festival passes, check out TickPick, the Official Ticket Marketplace of Firefly Music Festival. We’ve got tickets for different days! See options for weekend passes here.